I’m so glad dragons are making a resurgence in fantasy. I know they never ‘left,’ per se, but I grew up on the tales of Wrede, McCaffrey, and Yolen, and it is a wonderful to see books like Rachel Hartman’s Seraphina taking home awards for writing. 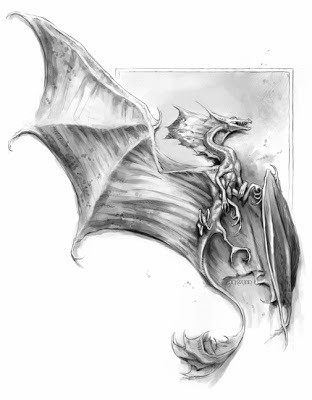 Of course, young adult doesn’t have a corner on the dragon market, and there have been many wonderful dragon stories in adult fantasy as well. I’ve just read one of them, and I’m happy to report that it was unique and spell-binding. 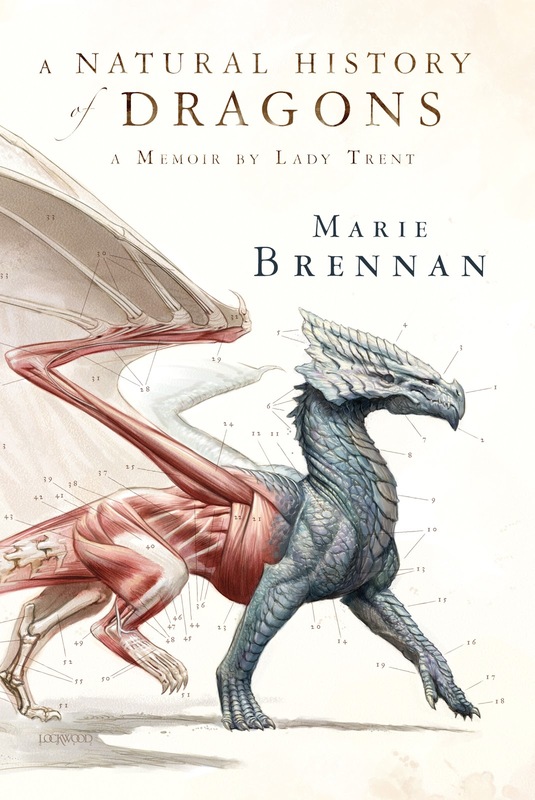 Marie Brennan’s A Natural History of Dragons: A Memoir by Lady Trent is a fabulous tale. A Natural History of Dragons is written in the style of a memoir, one by a famous dragon naturalist, Isabella, Lady Trent. ‘She’ writes from the perspective of a scientist at the end of a long career. As she examines the youthful interests and experiences that sparked her interest in dragonkind, she also muses on life, love, society, politics, and the progress of technology over time. In so doing, she shows herself to be a keen observer, a passionate devotee of natural history, and an eccentric who cannot resist the pull of scientific study. This book, the first in a planned series, follows Isabella from her childhood in the country through her adolescence and on her first expedition. As is the case with memoirs, it is told entirely through the lens of Isabella’s experience, but it does not suffer from this focus. Isabella gradually progresses from studying sparklings (insect-sized dragon cousins) to admiring living dragons, to finally joining an expedition to study them in their natural habitat. The story is also full of hijinks from Isabella’s younger years, falling in love, and coming of age. The common thread through all of this (of course!) is a passion for dragons. Dragons are the be-all and end-all of Isabella’s existence. I found A Natural History of Dragons fascinating, uncommon, and full of unexpected bits of alternate world society trivia and twists of fate. I felt as if I was reading nonfiction, albeit exceptionally interesting nonfiction (a la Into Thin Air), with the added bonus of fantasy elements and gorgeous illustration. Todd Lockwood’s art is certainly one of the highlights of the reading experience – just look at this drawing! Beware: these aren’t the awesome but basically tame dragons of lore. They’re wild beasts that belong to an unfamiliar world, and they will strike close to the heart if provoked. At the end of the volume I found myself wide-eyed and longing for the next installment in Lady Trent’s adventures. Recommended for: fans of dragons (all kinds), those who enjoy books that pay homage to the manners and mores of Regency/Victorian England (i.e. Georgette Heyer, Mary Robinette Kowal’s Shades of Milk and Honey), and anyone who has caught themselves wondering about the anatomy and physiology of mythological creatures. Check back tomorrow for a blog tour stop with an interview with the author (and GIVEAWAY!). Fine print: I received an e-ARC of this book for honest review from Tor. I'm so glad you liked this one, because I have an ILL out on it and would be very disappointed if you didn't. Brennan's one of my favorites and you compared her to Kowal, another one of my favorites . . . so I'm definitely glad it's on the way to me! Liviania: I think you'll love this one. It could be a bit dry or slow-developing for some fans of YA, but you're used to adult fantasy, so I don't imagine that will be a problem. Isabella is such a character! I kept imagining her reading in the Dowager Countess' voice (from Downton), and it made me smile. I loved this one. The writing style was refreshing, entertaining and it captivating from the first page. I thought the illustrations were beautiful, too. I've always loved dragons too, I think I would love this book. The art work is fabulous. I'm not much one for fantasy but I must say this one does sound interesting.